Loewe chose seven fashion bloggers to represent the Loewe’s new bag called ‘Leo’. Chiara Ferragni (The Blonde Salad), Gala González (Amlul), Susie Lau (Style Bubble), Tina Leung (Tina Loves), Betty (Le Blog de Betty), Miss Faye, and Yayoi showed off the bag in seven colors for seven days at Loewe’s website. Though the campaign has ended the pictures are available at abundance as are Leo bag at Loewe’s online boutique. The ‘Leo’ bag is a spacious tote with clean lines and modern design. It’s practical but chic and also minimalistic. The bag comes in seven colors light pink Candy, Magenta, Light Blue, Mink, Yellow, Navy, and Brown. Made in Spain out of smooth calfskin Leo bag features a double top handle and a foldover snap closure. All bags feature differently-colored stitching and lining and a protruding inner pocket also made of leather. For the campaign Chiara Ferragni opted for a light blue Leo bag while Gala González carried a Brown one, Susie Lau went for a Candy bag, Tina Leung showed the Yellow Leo, Miss Faye was photographed with Navy one, Yayoi carried Magenta Leo, and Betty represented MInk Leo bag. Each international blogger styled several looks to demonstrate with the Leo bag. 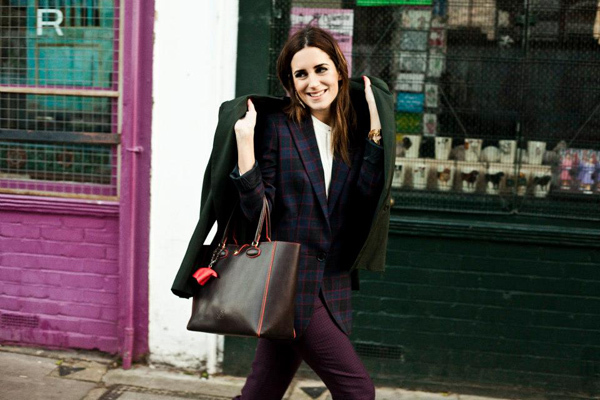 Gala González opted for a casual smart outfit with a military green jacket, burgundy pants and plaid blazer. 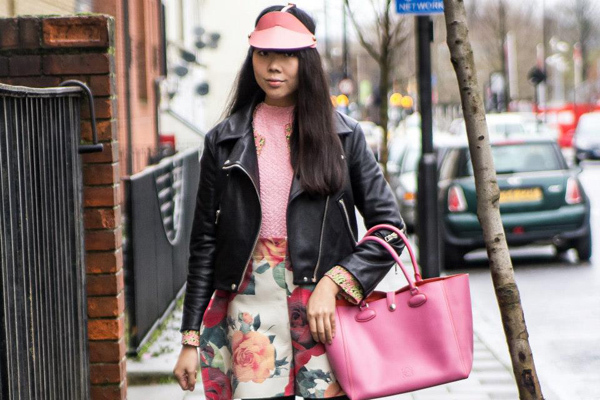 Susie Lau coordinated her Candy pink Leo bag with a matching pink top and a cap. Chiara Ferragni went for a chic romantic look with a neutral coat and a pale lavender dress. Miss Faye went for a dark blue oversize coat in tune with her navy bag and a lime green coat for another shot. Betty showed off her Mink bag with a white fur jacket and a couple of other statement pieces. Tina Leung chose to wear a leather top over denim one and paired it with lemon yellow to match the bag color. Yayoyi also showed multiple looks one of them combines a military gree leather jacket with neutral pants and ankle boots. 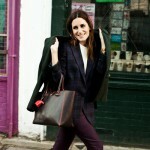 To see more looks from bloggers or to shop Leo bag check out Loewe’s website.